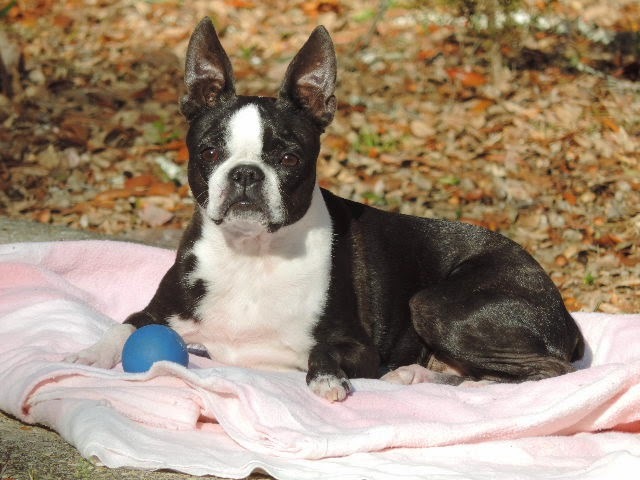 "In April of 2013, my precious Boston Terrier, Marcie had 3 mast cell tumors removed at age 7.They had been misdiagnosed by previous conventional veterinarians. Thankfully I located a wonderful holistic DVM who I have to drive 320 miles round trip to see, but well worth the travel.One of the tumors had become a grade 2. After reading the pathology report and various other articles, I was terrified of what might happen. My first Boston Terrier lived to be sixteen and my second eighteen. Naturally I am shooting for at least twenty with my little third charm. She's my baby and I will do anything I can to give her the best and all she needs. Being a huge fan of nutraceuticals, I started exploring options. Without using any western cancer solutions, my holistic vet had outlined a base diet to feed and recommended some supplements in addition to the holistic Chinese herbs she mixes just for Marcie. She did not think we needed to do any type of western intervention and I was open to whatever my pup needed. I was concerned that I was not doing all I could though, so I consulted Susan for a nutrition consult. Susan made her recommendation and also suggested supplements from the AskAriel.com website. I immediately placed my order for several products she recommended and have been using these now for years. Other than a couple of changes in protein sources, which is necessary with dogs with serious allergies, my baby is amazing. Everybody that meets her is in awe of her beauty and comment on the glow of her coat which I attribute to Amazing Omegas. They cannot believe that she is nine years old and has puppy energy! I still have a twenty year goal and I thank God each day He gives me to love her. Marcie's recent bloodwork results were awesome. I know it would not be possible without Susan's help. I highly recommend her expertise and products." Supplements that help Marcie include: Amazing Omegas for Pets, Onco X, AllerEaze, Gastro ULC, Power Probiotic for Pets, K9 Digestive Enzymes, and Immune Harmony.